Volvo Group celebrated the production of its 60,000th truck with a special event at the Wacol factory today. Peter Voorhoeve (left) accepted the Australian Made Campaign certification from Ian Harrison on behalf of Volvo Group Australia. Volvo Group Australia president and CEO Peter Voorhoeve highlights the success of the Group’s Brisbane-based Wacol factory with the announcement of its 60,000th locally made truck. Voorhoeve says Volvo’s production milestone demonstrates that automotive manufacturing is alive in Australia despite closures of car manufacturing units here. "Our Wacol plant has been operating since 1972, and houses manufacturing and engineering facilities to produce both Volvo and Mack trucks," Voorhoeve says. "The plant makes a significant economic contribution to the local area, and it does it without any government subsidies. "We have close to 450 people directly employed in the production process, about 50 dedicated engineers based in Brisbane. "The Wacol factory also has approximately 85 local suppliers delivering more than 3,500 different components to the Wacol factory – of which, many are produced right here in Australia." 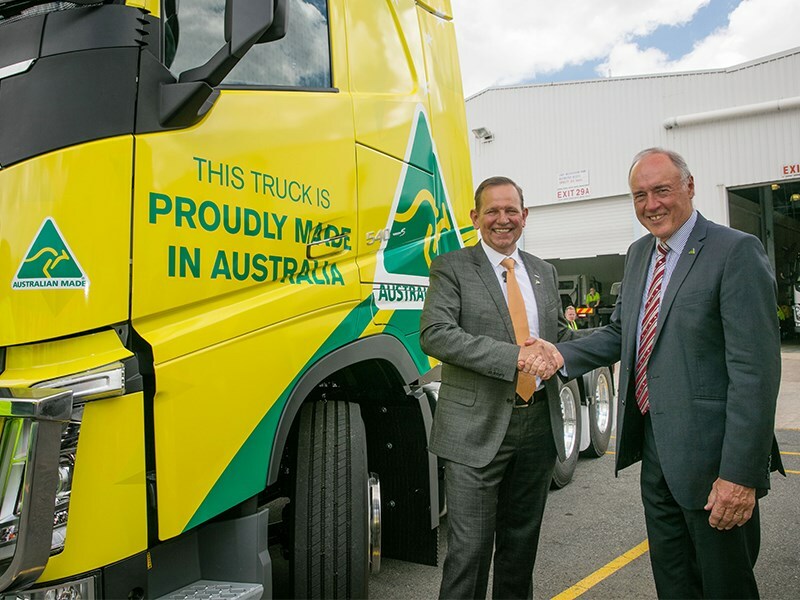 Australian Truck Association (ATA) chair Geoff Crouch and CEO Ben Maguire were present at the Wacol site to celebrate the achievement with Voorhoeve, Volvo Trucks Australia vice president Mitch Peden, Australian Made CEO Ian Harrison, and other guests. 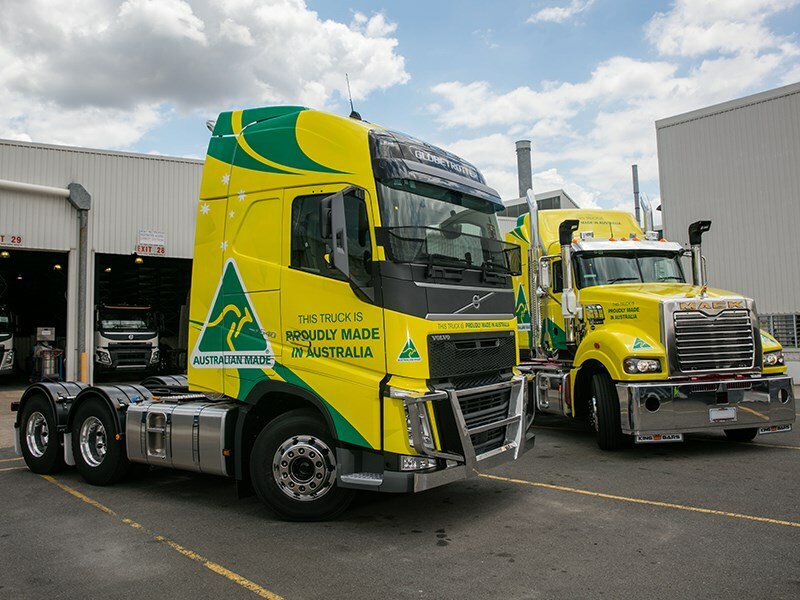 The production milestone coincides with Volvo Group receiving the Australian Made Campaign certification to carry the iconic green-and-gold ‘Australian Made’ logo. Volvo Group Australia is now the only truck manufacturer in Australia to have been awarded this certification. 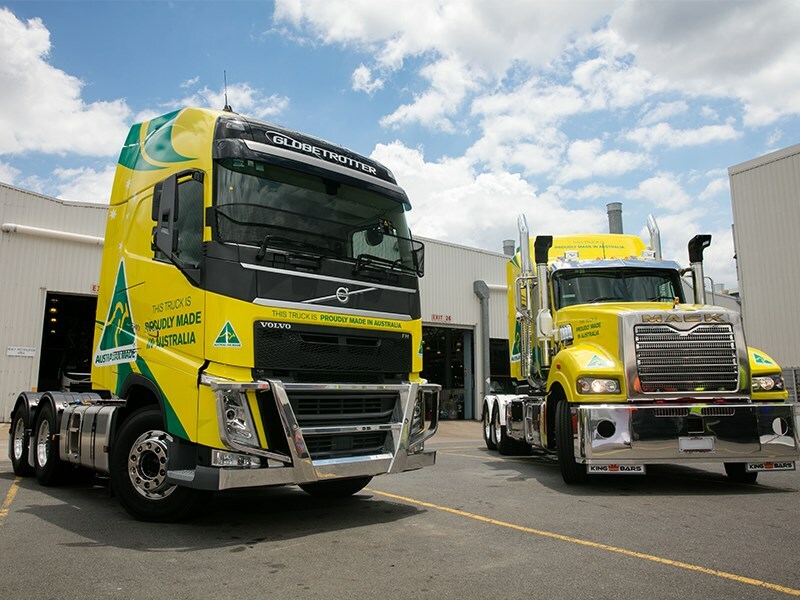 "We’re delighted that Volvo Group Australia has joined the campaign," Harrison says. "It reflects their commitment to promoting local manufacturing, both in its direct production operations but also through their support of the local automotive components’ industry." Voorhoeve also spoke about the unique challenges of the Australian truck market. "Our trucks work harder than anywhere else in the world. Our loads are heavier, the climate is hot and dusty, and the distances are greater," he says. "But our Australian engineers leverage the globally proven vehicle platforms and latest innovations to design trucks that are tailored for the unique Australian conditions. "It’s a very competitive market here in Australia, but building trucks locally means we can meet and exceed the demands of customers in this competitive market, by building them a truck that is exactly to their specification." Voorhoeve details the Group’s current and future investment plans for its Australian facilities. "We are committed to manufacturing trucks in Australia and have invested over $27m in the production facility alone in the last six years, and will invest a further $3.7m in upgrading our chassis treatment and cab paint process," he says. "We’re talking about a lot of money, which is a reflection of how confident we are in local manufacturing. "We are also investing considerably, together with our private partners, in our dealerships and customer service network." Voorhoeve explains that, between the Volvo Group and private partners, approximately $160m worth of investment will have been made between 2014 and 2018 in its dealership and service network. "Of the $160 million in investments for 2014 to 2018, Volvo Group will have contributed $65 million to finance projects," he says. "These include several to be completed in 2018, notably, new national headquarters, and new dealerships in both Brisbane and Sydney." Voorhoeve says that the investment amounts are considerable because trucking is big business in Australia. "The road freight transport industry is generally quite humble, and rarely in the spotlight despite being a $42 billion industry. Almost everything we touch, eat and use has been on a truck at some stage," he says. "The industry employs approximately 150,000 people across more than 40,000 businesses, contributing $8.4 billion in wages back into the economy." While growth in the transport industry has slowed in recent years, it has weathered the slowdown of the resource sector quite well and looks to be bouncing back in 2017, Voorhoeve says.